The bombing of Gernika has become an integral part of the greater Basque experience, quite possibly of Basque identity itself. Every Basque, whether born in Bilbao or Boise, knows what happened in Gernika. Reproductions of Picasso’s Guernica can be found in even the simplest of basseriak in the rural Basque Country, in places where modern art hangs on walls centuries old. Even so, while some of us may have grandparents that lived during the bombing, or ancestors who fought in the war, most of us have a more abstract, more cerebral connection to the bombing of Gernika. This is one reason I so highly recommend Guernica by Dave Boling. 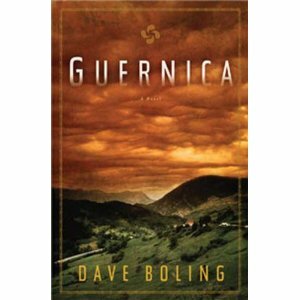 Boling’s first novel, Guernica recounts the events of the bombing of Gernika through the story of two families and three generations. Boling knows we are all aware of the basic historical facts, and so he begins by showing us that these two families have been devastated and the rest of the novel is spent introducing these characters to us, leading us up to the bombing. This is one of the few books where I was actually anxious for what happened next. I knew the bombing was coming, but I didn’t know how it would affect these particular characters, who would survive, who would die, and who would be damaged. Boling does a great job of developing characters that I cared about, especially as vehicles for me to better understand the tragedy that was Gernika. An interesting and very effective device Boling uses is to interweave the drama of his fictional characters with the historical events unfolding around them, events that they have no inkling of, but which will dramatically affect their lives. 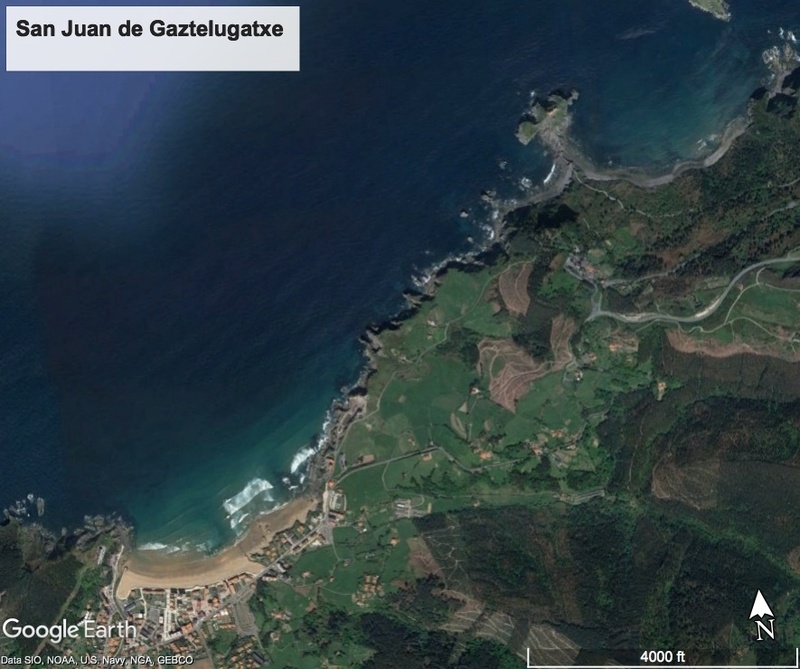 We visit Jose Antonio Aguirre, the first lehendakari of Euskadi; Picasso as he reacts to the Spanish Civil War; and even Wolfram Freiherr von Richthofen, the man who orchestrated the bombing itself. We thus get some context for the storm that soon assails the protagonists, almost without warning. There were a few little quibbles I had, as a few things sounded odd to my ear. For example, some of the women are given the surname of their husbands, something that doesn’t happen in Spain. And the characters, from the heart of Bizkaia, refer to the Basque Country as “Pays Basque” which also seemed very out of place. But, Boling had respected Basque scholars go through the manuscript and I wonder if this is more my own lacking. I’m not going to reveal any more of the plot, as I don’t want to give away the ultimate fate of these characters that we grow to care about as they themselves grow, before, during, and after the bombing. Let me just say that as a characterization of events that were both horrific and defining for the Basques, Boling does an admirable job of bringing a human face to events that are otherwise incomprehensible. If you’ve read Guernica, please share your thoughts! I had read Guernika last year as well as Picasso’s War, great to read hand in hand. I just ret’d from a trip to Guernica and it was one of the 3 highlights of my 3 week trip. Visiting the Peace Museum, the tile replica of Picasso’s painting, the parliment building and oak tree were special. My visit was enhanced by reading both books.Found a fantastic restaurant filled with locals and with help of a local man who had lived in CA.ordered the best meal of trip, 3 courses with wine for 23 euros. Very good writing in my opinion. I was emotionaly involved in the Character’s right away. I really enjoyed this book. Thanks for recommending this book. Coming from a Basque family, the title certainly caught my attention. However – this is a great read!!!! This historical perspective was a great background, but I really enjoyed the Basque culture that was captured in the book. The storyline was full of surprises – luved it! This would make a great movie – can’t wait. I found this in the Boise Basque Block. Being an American Basque it was exciting for read about the old country that Grandma spoke of, I love how Mr. Boling caugth the character and personilities of the basque people. I could read along and identify thoses characterists in myself and family. I hope that Mr. Boling will write another book because I loved this one and the characters so much I could not finish it because I did not want to know who lived and died in the bombing. My aunt read it and had the same problem.